So what is this Obamacare really about? 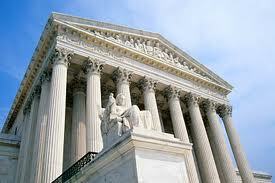 This week, the United States Supreme Court rendered a decision on President Obama’s health bill. Having my mother ask me about it, I knew it was a big deal. Having discussed the insurance industry and Obamacare with people on an individual basis, I now want to take the opportunity and put thoughts to paper blog post so that anyone would be able to see my insights on this and partake in the discussion. While the entire bill is thousands of pages, the largest issue by far is the individual mandate and establishment of individual insurance exchanges. This specific issue is also the one on which the success of this bill hinges on. So whats better than knowing that your financial situation is being taken care of? 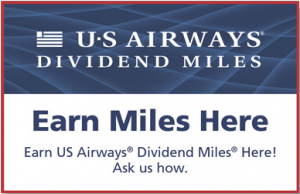 Earning US Airways Dividend Miles while doing so! We are implementing a Dividend Miles program in place for new and existing miles! Details here or click “US Airways Promo” on the right. Last week I had the pleasure of attending a Bloomberg/Aberdeen Investments conference in NYC, with a panel of economists and other experts discussing the Greek and European crisis. Will not bore you with the details, however will leave it with this. The European crisis is primarily about consumer, private debt. The consumer is now trying to deleverage (pay down their debt), and as a result, is not spending so much in the economy. To a degree, similar to what we faced here in 2008 trying to pay down the home equity debt. While this crisis in Europe is big, the key thing to keep in mind, crisis will come and go. An easy way to think about the situation is to think of a long dark hallway, where the only thing you can see is a light at the end, however you do not know what obstacles are in the way. This is where we are right now, we know we will get through this, however we just do not know how long it will take. Europe will not fall apart much like the world did not end here in 2008. Can it get a bit panicky and volatile? Sure, but that is to be expected. In any case, the elections in Greece tomorrow in most likely case will be good news anyway. Scenario 1 is, the New Democracy party wins and they support the EU Euro Austerity plans. Euro Central Bank will step in and support as necessary. Scenario 2 is, the Liberal party wins, and want to leave the Euro Zone, the Euro Central Bank steps in to support the rest of the Euro Zone. In all seriousness, Greece does not even matter that much in the grand scheme. Rhode Island’s economy is the size of Greece. The US and Emerging Market economies will pick up the slack and help Europe recover. Two countries in particular, China and Russia, sitting on their surpluses can come in handy to raise money for EU economies. Substantial old coin collections, old baseball cards, lighters, pez dispensers, firearms. Most everyone at some point will find themselves collecting something. 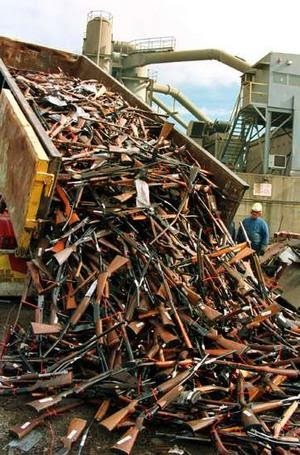 I happen to have a decent collection of firearms, those that were not lost in that terrible boating accident of course (joke within the gun community). What is often sad to see, however I have been on the winning end of the deal, the number of pristine and quite valuable firearms that are sold to dealers for pennies on the dollars by widows who do not know any better. Why? Because either their spouse did not tell them about his collection or convey his wishes. Even worse, seeing beautiful and rare collectibles turned in to be destroyed. You can imagine it now right? God forbid something happens to you. Your spouse finds your gun collection and does not know what to do with it. On the radio, she hears about a gun buyback program and turns in your Colt Python .357 revolver for a $50 gift card to Walmart. If that is the case, she either hated you, or you did not do a good job educating your loved ones your final wishes for the orderly disposition of your collectibles. What I have done is put together a form you can use to put together on one form, all the vital information your spouse or family will need, in order to honor your wishes. The form gathers the basic firearms information, where the firearm is store, the approximate value that you filled in, and your wishes for it, be it you want it to be sold, donated, or given away, and to whom. The inventory sheet also has information for you to fill in whom your loved ones should contact in case they have firearms related questions, whom your preferred firearms dealer is, as well as most of all, the combination to the safe, or where it can be found. Lastly, I added a note as to where they can find the most recent gun values, gunbroker.com recently sold values, as well as the Blue Book of Gun Values, the same price guide used by firearms dealers. You can download the sample PDF here. For an editable excel file to type your information in, fill in the form below subscribing to our email updates, and to download the blank pdf and editable XLS files.